Day 6 | Summit day. Elbrus Western Summit climb – 5642 m. Descent to the High Camp on the North Side. Overnight stay in the High Camp at 3800 m., at the mountain shelter. Day 7 | Reserve day in case of bad weather on the previous day / or descent to the North Side Base Camp at 2500 m. Overnight stay in the Base Camp at the mountain shelter. Day 8 | Transfer from the Base Camp to Pyatigorsk city (4-5 hours drive). Hotel check-in. Cultural program and sightseeing. Festive dinner. Certificates presentation. Overnight stay at the hotel. Day 9 | Departure day. Morning transfer at 10:00 / 10 AM from the hotel to Mineralnye Vody Airport (MRV). Elbrus climbing by the Traverse Route is a unique opportunity to explore both sides of Mount Elbrus in one trip. 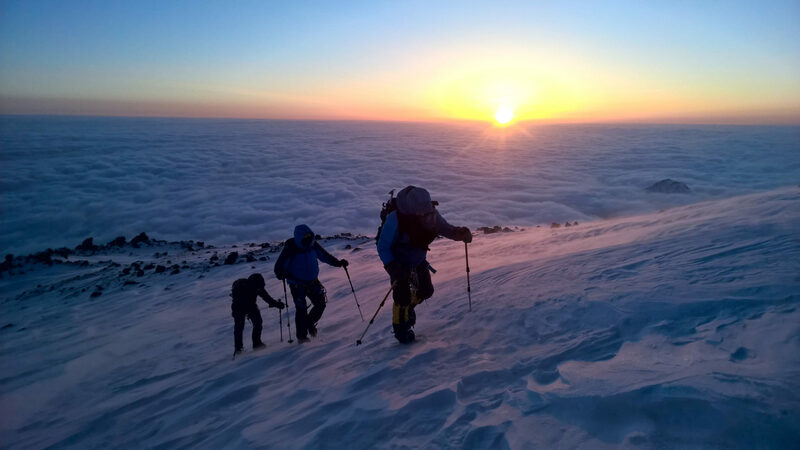 Climbing Elbrus by the Traverse Route you get a truly authentic cultural experience on the South Side with all the benefits of civilization and a touch of the wild on the North. 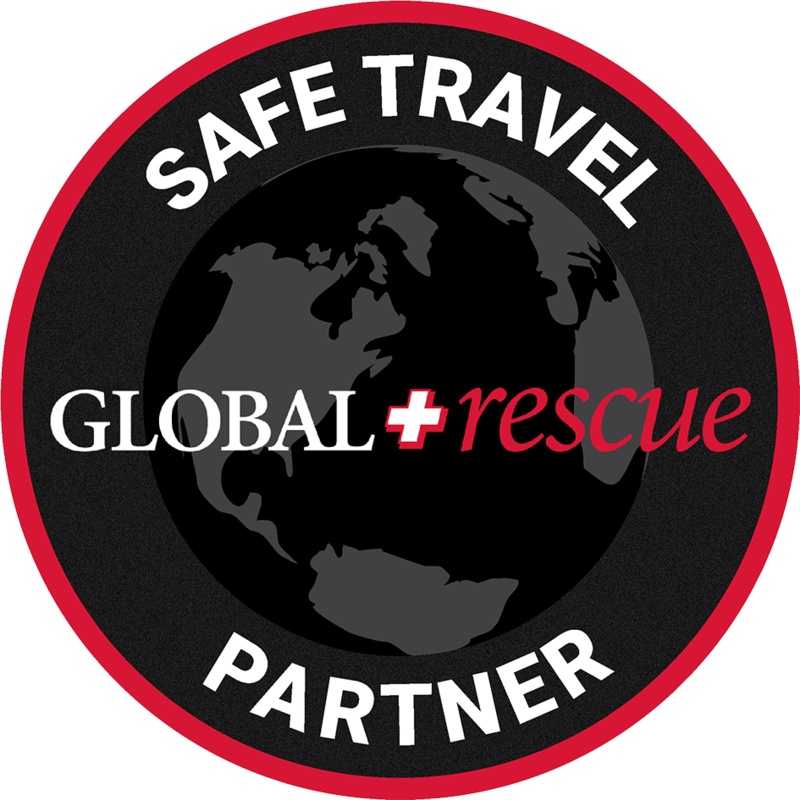 Why climb Elbrus Traverse Route with RMH? At RMH, we do care about your maximum comfort and provide you single occupancy supplement at our cozy RMH Lodge in Terskol village and at the hotel in Pyatigorsk city. In the High Camp on the South Side, we provide accommodation at the very best mountain lodge available for today on Elbrus. Our Base Camp on the North Side is equipped with a shower for your best relaxing experience after the climb. For climbing Elbrus by the Traverse Route must be at least 3 guests in the group. Invitation letter for Russian Visa. We email it to you immediately after we get your deposit payment and a scanned copy of your passport. Local registration fees. For foreign citizens according to the Russian legislation. 1. Mineralnye Vody Airport (MRV) – RMH Lodge in Terskol village. 2. North Side Base Camp – Hotel in Pyatigorsk city. 3. Hotel in Pyatigorsk – Mineralnye Vody Airport (MRV). 1. Accommodation in Terskol village at the RMH Lodge. Single occupancy supplement. 2. New comfortable fully heated and fully electric mountain lodge in the High Camp at 3850 meters on the South Side. Mixed dorm with 8 separate beds in every room. 3. Mountain shelter in the High Camp on the North Side at 3800 m. Mixed dorm. 4. Mountain shelter in the Base Camp on the North Side at 2500 m. Mixed dorm. 5. Authentic Soviet hotel in Pyatigorsk in the historic downtown of the city. Single occupancy supplement. All Ski Passes. For all cable cars throughout the trip. High-Quality meals. All meals during the entire trip, except days in Pyatigorsk city. Cook. For the entire stay in mountain lodges and huts. Transfer of personal belongings from the RMH lodge in Terskol village to the hotel in Pyatigorsk. In case if needed. Lightweight personal crockery. Knife, fork, spoon, mug.